For Siri Daly, her Crock-Pot is "like a member of my family." It's loyal, it gets the job done and she can always rely on it for a delicious meal that's cooked to perfection. Daly believes a slow cooker is a great addition to any kitchen for homemade weeknight meals that don't require hours standing over a hot stove. Daly dropped by Megyn Kelly TODAY to share two of her favorite slow cooker recipes from her latest cookbook, "Siriously Delicious": slow cooker macaroni and cheese and beef bourguignon. 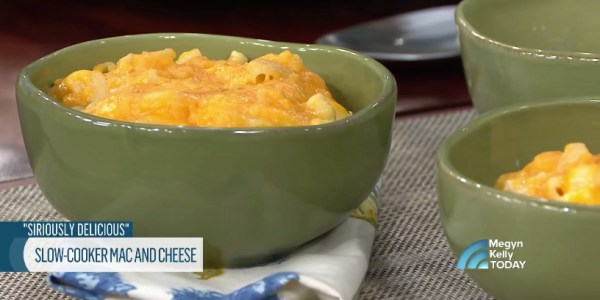 The mac and cheese, she says, is creamy, hearty and "completely uncomplicated." And her beef bourguignon is so special that she made it to celebrate her son's five-month birthday. This hearty, special-occasion meal was developed into a less labor-intensive recipe thanks to the very handy slow cooker. So, with a little planning — and a great slow cooker — these decadent homemade dishes don't seem so daunting. Skip the boxed mac and cheese for a creamy, hearty and totally indulgent homemade version that's just as easy to make. 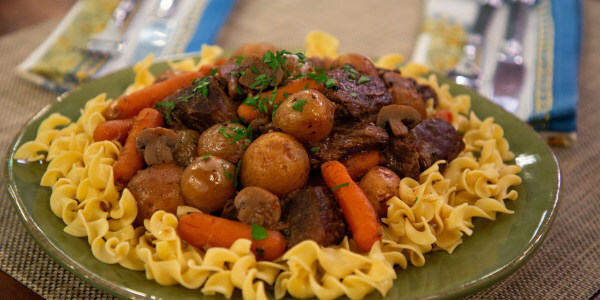 This beef bourguignon is a hearty, richly flavored meal you can make as a stew or serve over buttery noodles on a cold night.